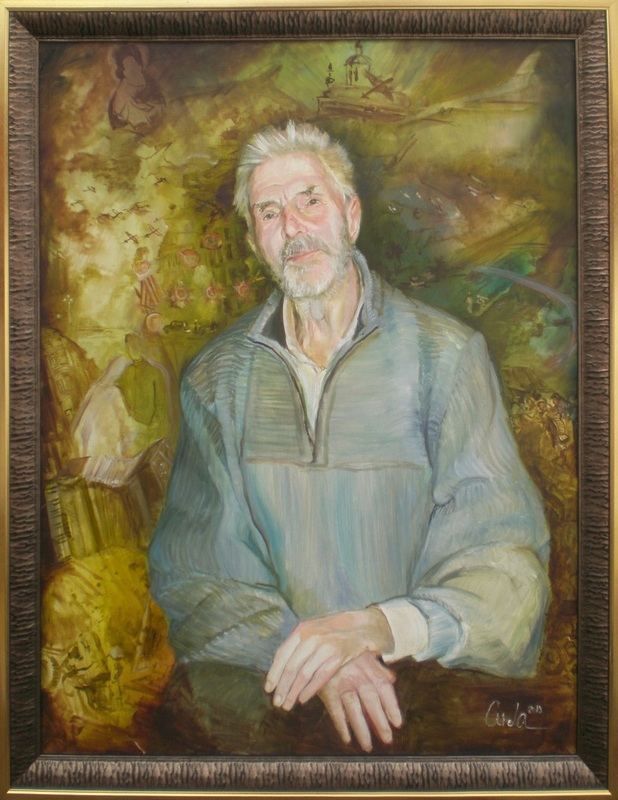 This is the story of a real Russian hero, Vasily Petrovich Maslennikov, Guardian Senior Lieutenant-technician with portrait titled “The Guardsman” by artist Aida Lisenkova-Hanemaayer. Vasily Petrovich Maslennikov was born at Shemelenky, a small Russian village on 24 December 1922. He graduated from the Vyscoco village school №1 in the Ramenskoye region southeast of Moscow. After graduation he studied from 1939 to 1941 at the Army Tank Technical school in Leningrad (Saint Petersburg). When the German Nazis invaded Russia, Vasily served in the Soviet Red Army during the Great Patriotic War from 1941to 1945. Vasily proved himself to be a talented and determined officer and was given command of a strategic reconnaissance operation. Vasily’s unit covertly slipped behind enemy lines and on the nights of 24 and 25 January 1945, disguised as captives, the unit mounted motorcycles and took the Germans by surprise by commandeering three armored personnel carriers and three tanks to drive a surprise wedge between the German forces along the Varta River in Poland. This reconnaissance detachment headed by Maslennikov broke into the German army’s defenses while forcing the enemy from a strategically important bridge on the Varta River. His unit battled the German forces guarding the bridge, took control of the structure and then cleared it of mines. Maslennikov’s company held the bridge for over fifteen hours while under continual attack from both directions until help arrived from the first Ukrainian Army. Breaking the German defenses saved the two Polish cities Kshevchuv and Velyun from planned destruction and opened a route to Berlin for the Soviet Red Army. As a sign of gratitude Senior Lieutenant Maslennikov was honored with the title of Honorary Citizen of Velyun. To this day the citizens of Velyun remember Maslenniko’s unit, proving that grateful memories outlive evil. Throughout the war Senior Lieutenant Maslennikov was an officer of the reconnaissance group of the 3rd Guard Tank division of the First Ukrainian front. On the way to Reichskanzlei he was severely wounded during a fierce tank battle in Berlin. His recovery was called a miracle. Maslennikov was only 23 when he returned home from the war, decorated with numerous medals, Soviet orders and a trophy accordion. Despite all the honors inside he wondered how he would live. “Medals are not potatoes; you cannot eat them nor put them to bed.” He questioned how an amputee, a soldier with only one leg could find a job and lead a useful life. Vasily began to play his accordion again and soon thereafter was enlisted to process aircraft test results for flights at the Flight Research Institute, home to the MAKS International Air Space shows. For forty-seven years, Vasily has processed practically all the test results from this flight facility. Today Vasily Petrovich Maslennikov is in his 90s, sustained by the protection of the Mother of God. His beautiful and clean hands folded on his knees. His memory holds scenes of terrible tank attacks, of fallen soldiers in battles for the Motherland and his friends. 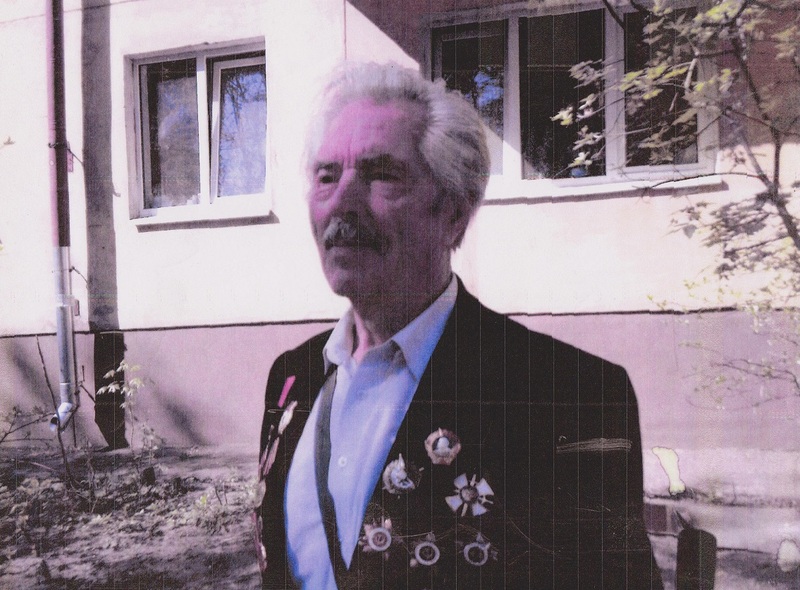 He will never forget the bridge over Poland’s Varta river, the cities saved by the Red Army, his medals of honour, the encounter with the holy Saint Varvara and flying aircraft all seem to fill the air behind his shoulders. He poses for the artist with calm, his hair a sunset golden haze. His head is slightly titled back as the question is asked, would you do it all again? The answer is already in his eyes — yes! For Victory Day, 9 May, Maslennikov wears his medals. 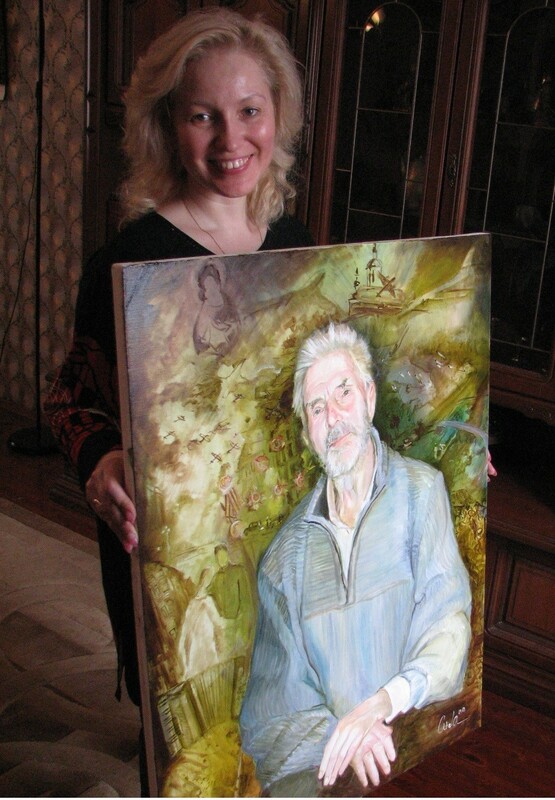 A pleased artist announces that the painting is ready for framing.